I wondered why the group of adult literacy students were so motivated to come to class at the end of their busy day. They are mainly working women who are single mothers, too. They come three afternoons a week to enthusiastically join in lessons in a dim, hot primary school classroom on a hard wooden benches that sit low to the ground. Babies share the space with their mothers, quietly nursing or getting passed around to fellow students to hold for a while. Small children play outside, waiting for their mothers to finish. 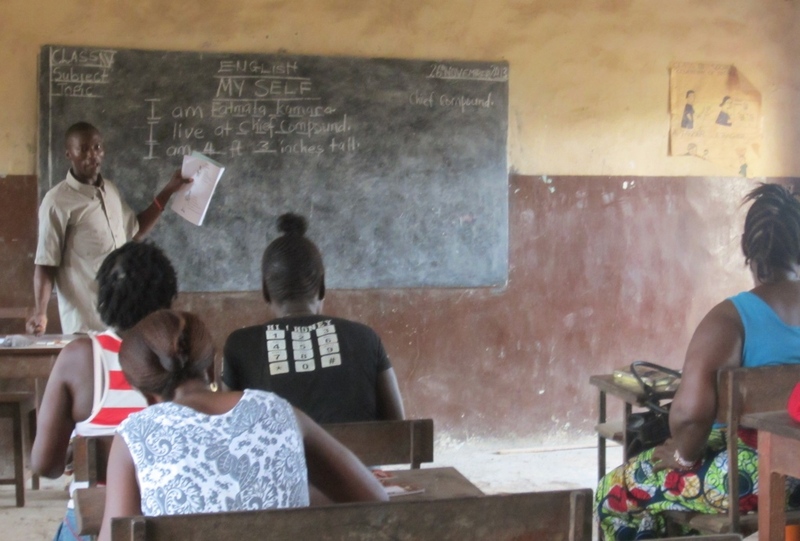 Lessons go from 4:30pm until 6:00pm when it’s getting too dark to read in the unlit classroom in Rotifunk, a small rural town in Sierra Leone with no electricity. Day after day, week after week they come, filling two classrooms. After spending time with them, I found there was a gift they received that went beyond learning to read and write. A special gift. 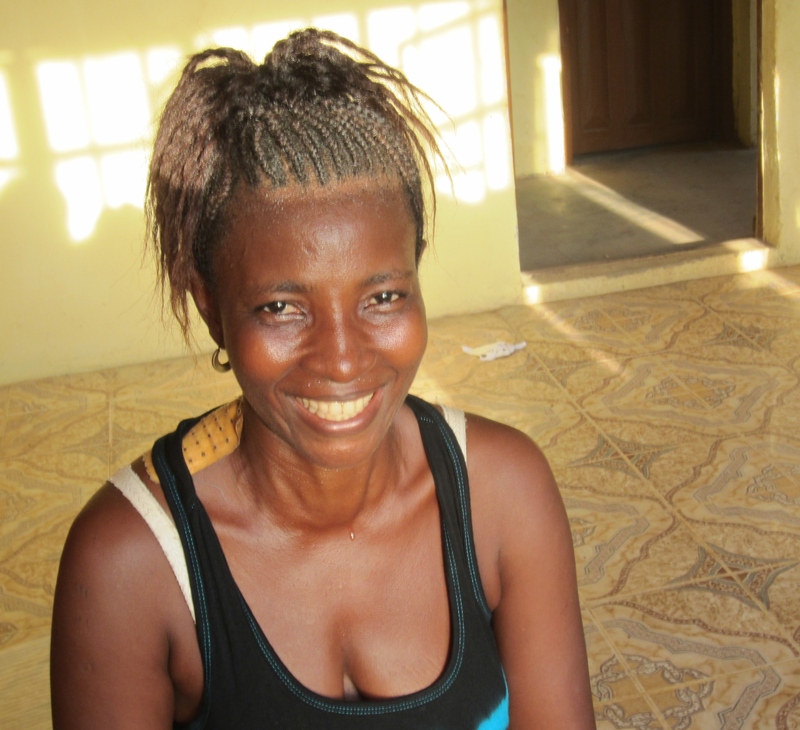 Olivia Bendu, 47 yrs, 6 children, proud to learn again in Advanced group. This day’s lesson for the level one class was two letter words. At, to, in, on, by. They drilled on spelling each word, then using it in a sentence. Each student took their turn standing at the chalk board with a pointer reciting and spelling each word. If anyone stumbled on a word, their fellow students encouraged her on. It was support group as much as it was classroom. After classes, I interviewed each adult student. I had told them I wanted to talk with each of them and hear their personal story. They came willingly, and spoke candidly about their lives and personal situations. In fact, they followed me around town if they had missed class, stopping me to have their interview. 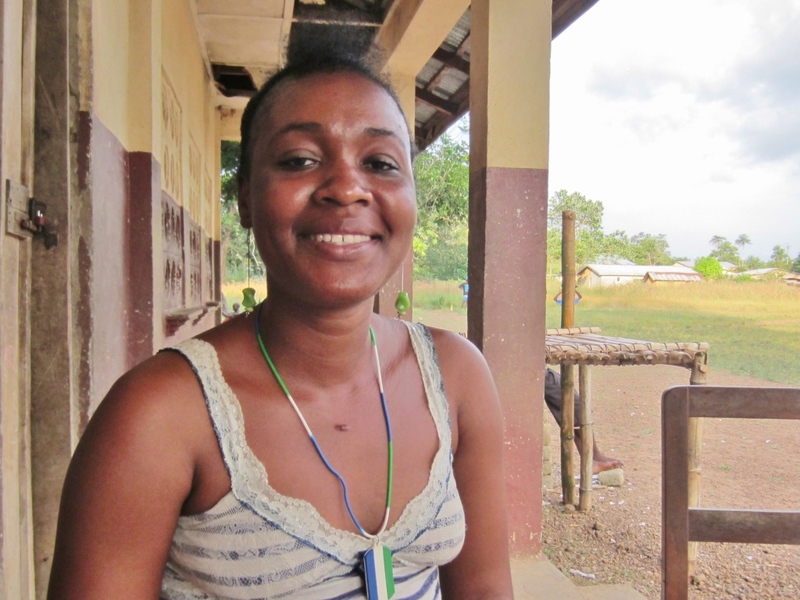 Zainab Caulker, 28 yrs, market trader, wants to become a nurse. Many were abandoned by boyfriends and husbands after having one or more children. This often came after dropping out of primary school years before because their father had died or left, or because the family just couldn’t pay for school. Without money, teenaged girls often get involved with an older man (older than them with a little money) and become pregnant. More likely than not, the man doesn’t stay with them for long. Or perhaps they have a husband who dies. Then it’s repeated again with another man. 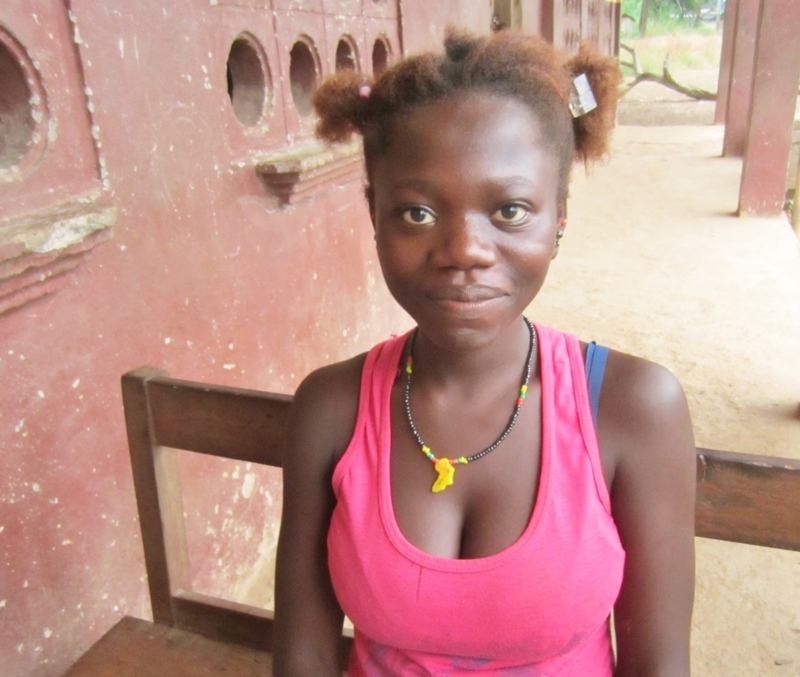 Kadiatu Sillah, 15 yrs, father died, no one to pay for school; wants to be a seamstress and support her mother. 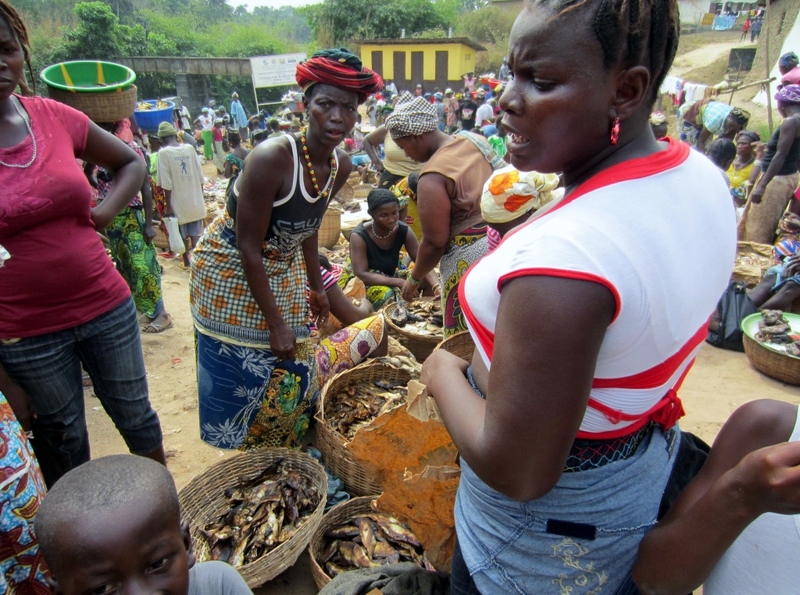 To care for and feed their families, the women become market traders, buying rice or palm oil or vegetables from village farms to re-sell in bigger town markets. Or food vendors, selling food they cooked. These are some of the only options available to an illiterate woman. They make up the informal economy, where people buy and sell just enough to scrape by, never managing to get ahead. They have to eat most of the day’s profits. Some of those who had husbands were the wives of teachers, one of the only paying jobs in town. Once they became mothers, they never managed to pursue or finish an education because there was no option for adults. 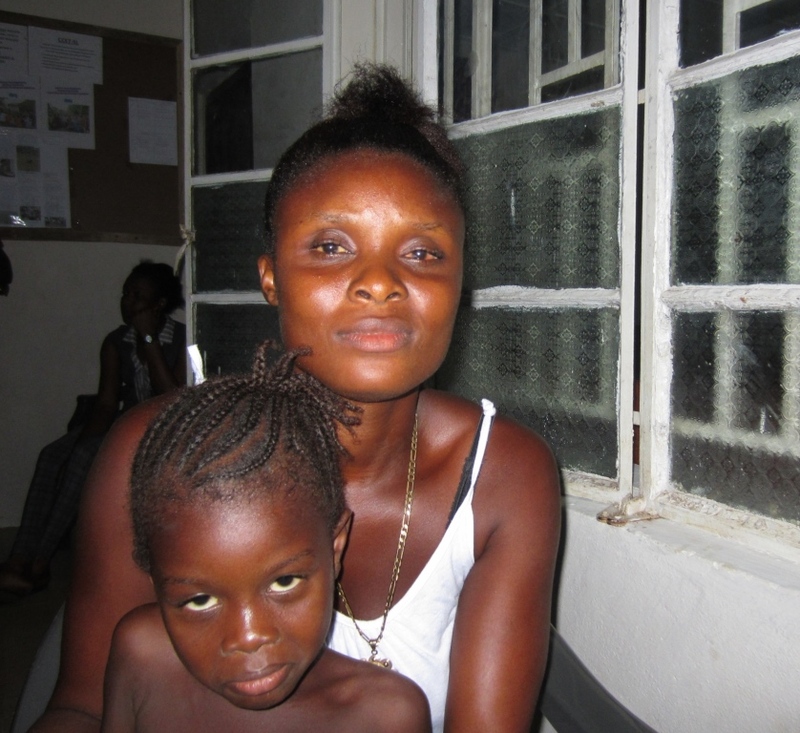 Victoria Koroma, 31 yrs, 5 children, no husband; sells donuts she makes; wants to be a nurse. Whether fifteen or fifty years old, the women had similar stories. So, why go through this extra effort of starting school now. Some students were learning the alphabet for the first time, the teacher’s hand held over theirs, guiding them as they repeatedly traced four letters at a time, A – B – C – D.
They told me they were coming to school to learn to read and write and learn numbers so they could get a job. Or, so they could better manage their market business. If their daughter was sent to sell the donuts they made, they needed to better keep inventory. They wanted to count how many they gave them, and were any lost and unaccounted for at the end of the day. They wanted to count change accurately, and know they weren’t cheated. Importantly, they wanted to follow their children’s progress in school and check that their lessons were done. Or help tutor them when needed. But after thirty five interviews, something more became apparent to me. Another theme emerged that was a big underlying factor in motivating these adult students to come to school. By coming to school, they were gaining self esteem. 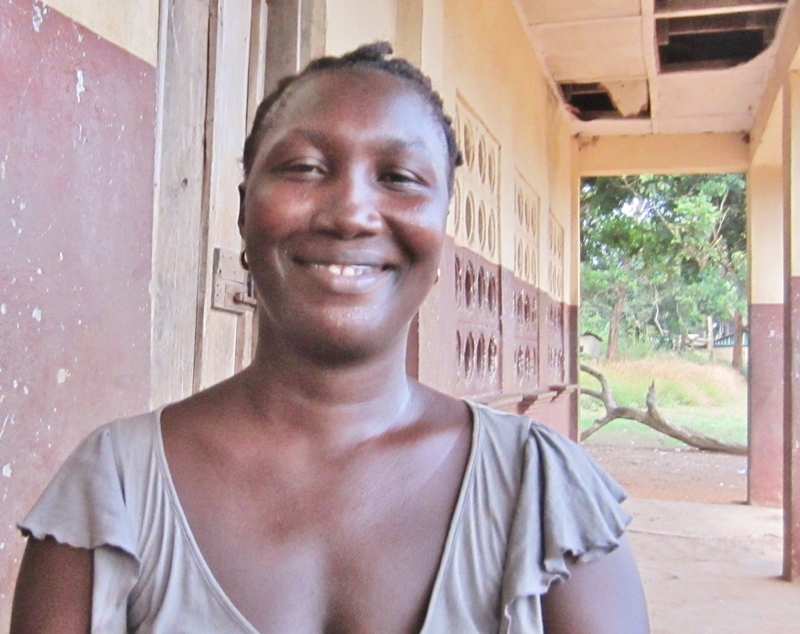 Zainab Caulker, two children, wants to monitor her children’s lessons and learn to be a secretary. The lowest person in society’s informal caste system is the illiterate woman. Illiterate men may find jobs as farmers and laborers, and by virtue of being paid, their stature goes up a notch. Uneducated men can be village leaders. But no one is lower in stature than an uneducated, illiterate woman. I heard stories repeatedly of men leaving them, often for a woman with some education. An educated woman likely contributes to the family in a bigger way – perhaps by finding a paying job, or by better building their own farm or market business. They have knowledge to better bring up their children, taking care of their health and monitoring their school work. And an educated woman has more self esteem. It’s unspoken, but you can see it. They think better of themselves, they hold their heads higher, and men find that attractive. 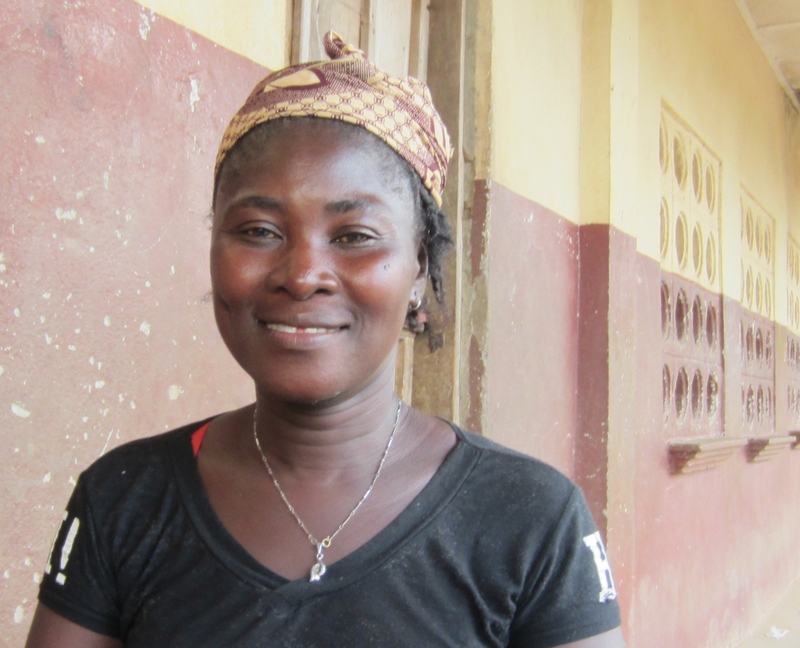 Zainab Kamara 39 yrs, 5 children, friends who can read and write inspired her to come to school; wants to learn to build her business. Women who have been told directly and indirectly that when they can’t read and write they are lacking and worth less than others, are ashamed of themselves. And that shows in how they conduct themselves. They let themselves be taken advantage of, and are discarded for someone the man perceives as better. In the Adult Literacy classes, the women were being shown they are worth something and that they have a future in front of them. The teachers encourage them and invest their time in them. Their fellow students support them. This American woman (this white woman) is taking an interest in them, and “sponsoring” them to learn. 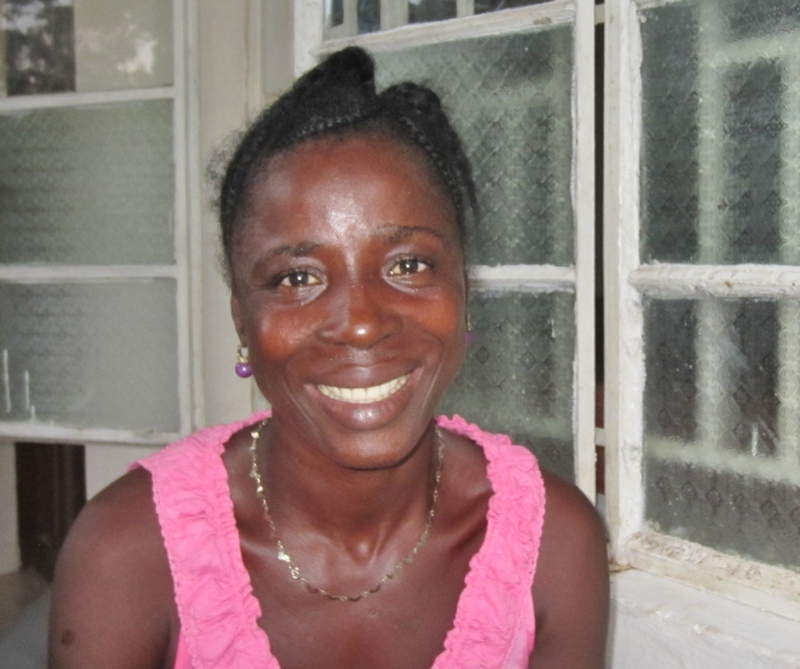 Lucy Manley, 35 yrs, 4 children, no husband; wants to learn nursing and midwifery. And week by week, they can see they are learning things. Things that make them proud and encourage them to learn more. One lesson the students seemed to get into was greeting people in English. Hello, my name is Lucy. How are you? I hope you are well today. Each student got up and practiced her greetings in front of the class. They laughed and joked, and made sure each person had their turn. When I asked Lucy after class what she learned that day, she broke into a huge smile. I learned to give greetings in English, she said, and I felt civilized. I can give a speech – in English. This made me proud! 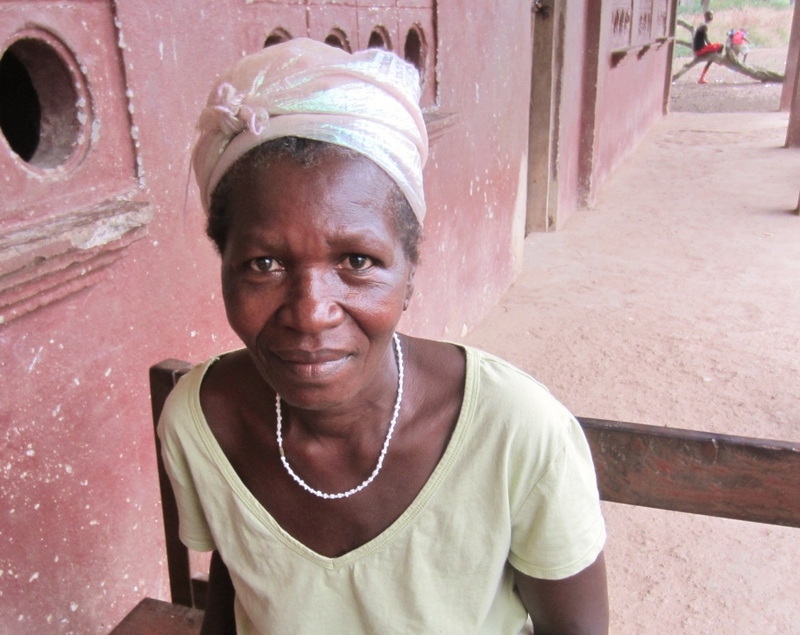 Aminata Otterbein, 60 yrs, saw other educated people her age and wants to learn herself. This response felt priceless to me. So, what was the actual cost of building this kind of self esteem in forty five women and five men? A few hundred dollars to buy exercise books and pens for each student to copy the day’s lesson, and to run off copies of lessons and tests for the advanced class like math problems. Fortunately, the teachers at the Center for Empowerment & Transformation continue to volunteer their time for the Adult Literacy program. They are the heroes of this story. The teachers come to patiently teach again at the end of their long school day to help develop their sisters and brothers, as they call them. It’s reinforced by students who really want to learn. I was seeing empowerment take place right in front of me, and the transformation in these adult students was visible. It was palpable. This really was priceless. Sherbro Foundation is proud to have contributed the cost of exercise books and learning materials to launch the Adult Literacy program. Trying to do good in another country is not always straightforward. First, you need to find well-defined projects you believe will “do good” in the area you want to serve. Then you need a trusted partner on the ground who shares your objectives and can effectively deliver the nuts-and-bolts work, and do it with integrity. The Sherbro Foundation is fortunate to have found such a partner in The Center for Community Empowerment and Transformation. CCET is a grassroots, all-volunteer nonprofit group of Sierra Leoneans organized for the development of Rotifunk and Bumpeh Chiefdom. It’s quite a name and tells you right off what the vision of this group is. It’s no less than the empowerment and transformation of their community. I was fortunate to have had an early and impactful learning from my old days in the Peace Corps that I’ve carried with me all these years. To make lasting change or improvements, don’t show up with your pre-cooked “solution” and try to give it to people who aren’t sold on – or maybe even aware of – the problem you’ve selected for them. This is generally true anywhere, and even more true when working with a rural community of another culture. Still today, I see too many NGOs (nongovernmental organizations) trying to solve the problems of the world with their own “programs”. They may not spend enough time in the developing country communities they want to serve to jointly set priorities and agree on approaches to use. It was a stroke of luck that found me back in Rotifunk for my third return trip right as the concept for the Center for Community Empowerment and Transformation was taking shape. I was visiting more of the chiefdom and better understanding the extent of the needs there. 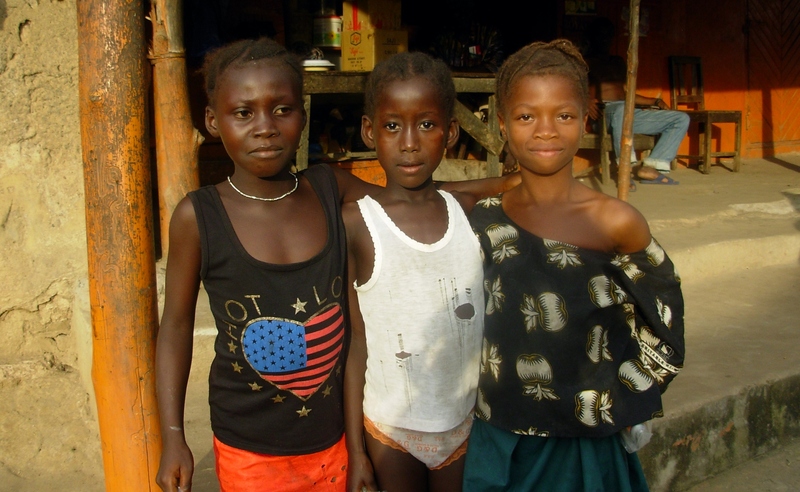 I arrived already frustrated in not finding existing nonprofit organizations in the U. S. interested in supporting the kind of small community projects I saw needed in Bumpeh Chiefdom. Grant applications, even if successful, can take months if not a year or more to process. I was already toying with the idea of creating my own nonprofit. At the same time Prosperity Girls High School had just started their first senior high class, and with that, hired several new teachers. More competent and committed teachers joined those already at PGHS, ready to serve this rural community. Within a month of their arrival, several of the new teachers joined up with existing teachers to form the concept for a community based organization. I asked Mr. Sonnah and Mr. Kamara, PGHS teachers and thought leaders in the Center, how their concept had come about. Both relayed the same story. Some old university friends of theirs representing an NGO had come to Rotifunk to do a survey. They challenged them to create their own community-based organization. Come on, they said. You’re in this rural place with time on your hands; you have the education and potential to be doing more. Mr. Sonnah and his 7th grade class. The teachers had already seen how PGHS principal Rosaline Kaimbay was struggling to start adult literacy classes, holding intermittent lessons on the front porch of her house after school let out. The majority of the adult students were women whose educations were interrupted, or maybe never started, because of the war. The teachers agreed adult literacy would become the first core program for the Center to take on and they would do it on a volunteer basis. 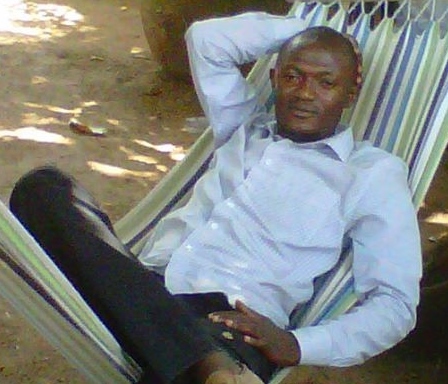 Mr. Kamara in a moment of relaxing. Adult literacy – starting with creating a curriculum of practical skills for small traders and farmers that are illiterate, mainly women. Girls Scholarship program – paying school fees to keep teenage girls in Rotifunk’s four secondary schools at a time when drop out rates for girls climb and families have great difficulty paying for the cost of an education. Tree nursery for trees of economic value – nursing small teak tree and oil palm seedlings and starting citrus and avocado trees from seed to provide to the community at nominal cost. Computer literacy – building the computer skills of local teachers in preparation for organizing the community computer lab the Sherbro Foundation has facilitated with a donated shipment of fifty computers now on their way to Rotifunk. 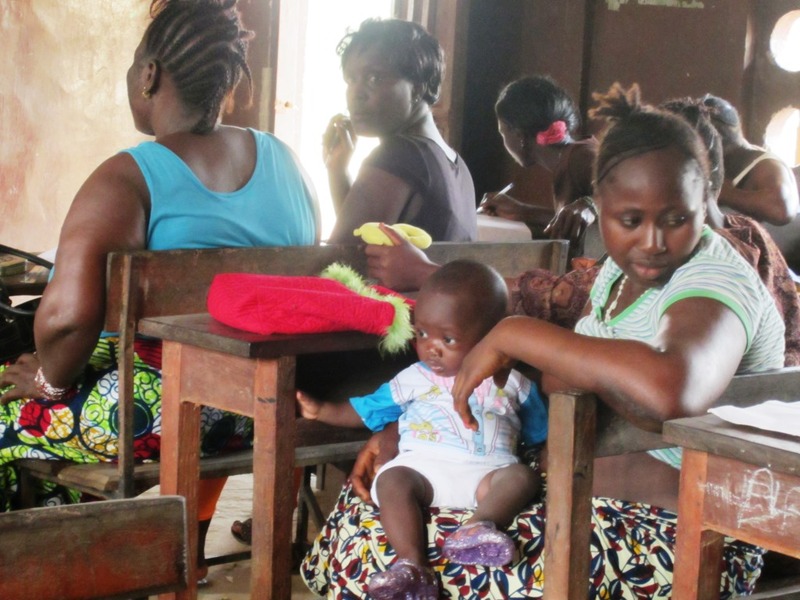 Registration of chiefdom births and deaths –helping set up a model process where none now exists in Bumpeh Chiefdom, or most of rural Sierra Leone. Adult sports teams for women – organizing women’s football (soccer) teams to give women still traumatized from the war a physical outlet for stress and team building for a peer network. 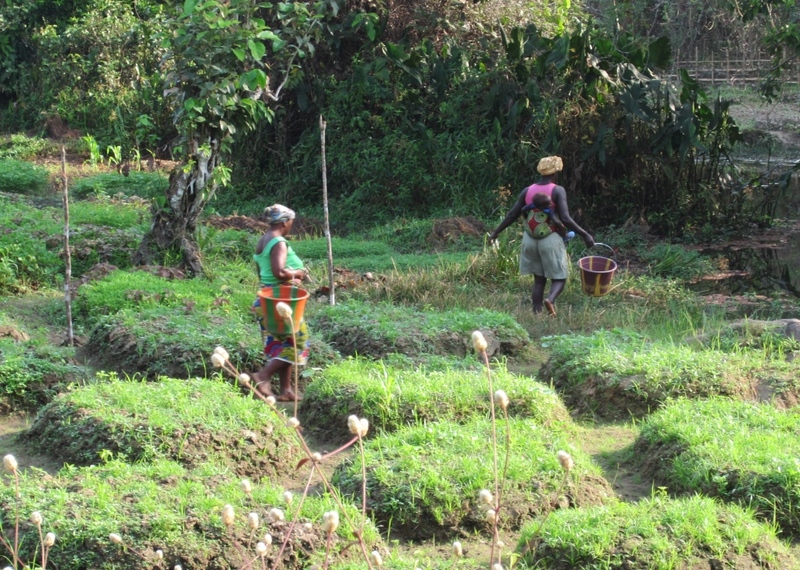 Within five months of their initial conceptual discussion, the Center volunteers are busy planting trees, teaching computer skills, and developing lessons on basic computations for illiterate market women. This is what I call empowerment. They’re getting going on concrete, practical programs that can help transform their community using the limited resources they have. The Sherbro Foundation is proud to have helped with start-up costs for the Center. We have donated money to pay fees for the Center to officially register as a nonprofit with several Sierra Leone ministries, making them eligible for local grant funds. We have also provided money for classroom furniture to be locally built for the computer lab, and to purchase farming tools and oil palm seedlings for the tree nursery. We will fund a one-day workshop where people will be taught how to complete the birth/death registrations. More will follow on each of these projects. Mr. Sonnah explained the Center’s logo to me and how it symbolizes what they plan to accomplish. A man and a woman are together holding one torch light. Light brings about transformation, and men and women are equally balanced in holding one light. They are surrounded by olive branches depicting them rescuing the chiefdom from its past traumas. They are transforming the chiefdom to be a better place. Mr. Kamara said in his quietly confident manner, we are developing our brothers and sisters, and we know with our work today, tomorrow will be a brighter day. We see our future as bright. The Sherbro Foundation sees their future as bright, too, and we’re happy to be helping them on their way. Donations are great, but there’s other ways to help, too. Like us on Facebook and “share” Sherbro Foundation Facebook news items to your Friends list. Identify organizations interested in supporting girls education, solar energy & agriculture in West Africa. eg., Churches doing mission & outreach work; Schools doing public service & educational projects; Foundations & Nonprofits interested in these areas. Help connect us and advocate for us. Help design a logo for Sherbro Foundation with a .jpeg image. Educational videos, tutorials on DVD (eg., math lessons), school supplies, books, computer mouse & mouse pads. Fifty Laptop computer carrying bags for the new computer lab – about $15 /bag Current need! The Sherbro Foundation was delighted to be invited to participate in an important event for women worldwide May 22 at Cincinnati’s National Underground Railroad Freedom Center. The free public evening kicked off with a 5:30 p.m. reception and Action Fair. National and local nonprofits – including Sherbro Foundation — offered information about their efforts to uplift women and eliminate oppression and discrimination, both here and abroad, and how you can help. 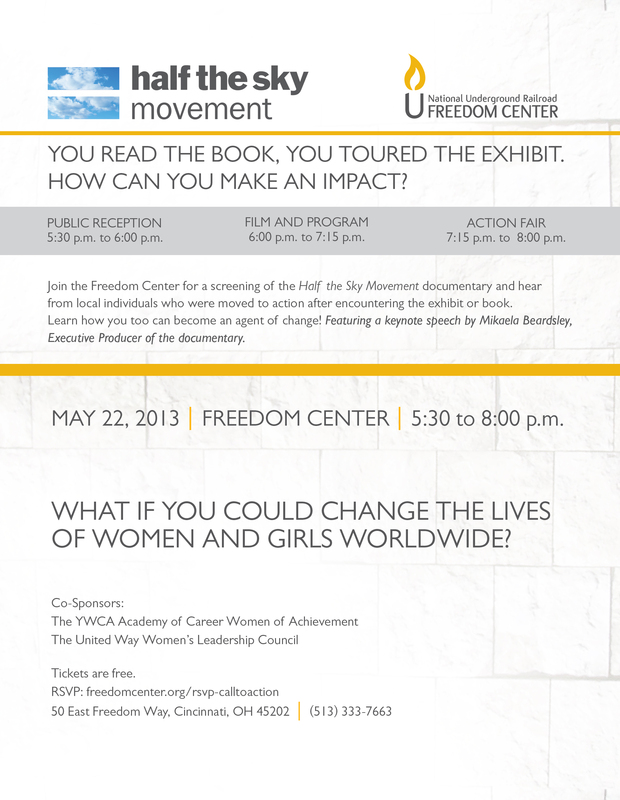 The event is a follow-up to the recent traveling exhibit at the Freedom Center, “Women Hold Up Half the Sky,’’ based on the bestselling book, “Half the Sky – Turning Oppression into Opportunity for Women Worldwide.” Both serve as wake-up calls to the injustices perpetrated against women worldwide and the ways to effect change. The program began with a 40-minute version of the PBS Half the Sky documentary. A short keynote address was presented via live satellite by Half the Sky Executive Producer Mikaela Beardsley and followed by a brief panel discussion with local volunteers and activists. The evening wrapped up with a longer Action Fair at to give attendees an opportunity to learn more about organizations supporting women locally and globally and how you can get involved and support them through volunteerism, advocacy or giving.